Up to 2% cash rebate on online spending. Citi Clear Card lets you enjoy an array of privileges while you shop online globally - enjoy up to 2% cash rebate on online spending. 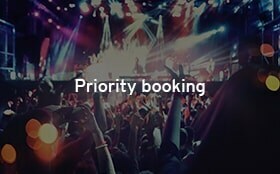 What's more, you can receive Buy-1-Get-1-Free movie tickets and get priority bookings on entertainment shows. Upon accumulative spending of designated amount within the first 2 months from the date of card issuance. Enjoy a 2% cash rebate for any online spending in foreign currency and a 0.4% cash rebate on other spending with Citi Clear Card throughout the year. Dayo Wong’s drama "Skylight by David Hare"
For more information regarding Visa payWave, please see our FAQs or visit Visa’s payWave webpage here. Cash rebates will automatically be credited to your account to offset spending. No registration is required. You will receive SMS alerts whenever your online transaction reaches HK$500. Shop online with ease. Applying online for a Citi Clear Card or Citi Clear Student Card is easy. Enjoy a HK$500 gift card to celebrate your graduation! Welcome offer is only applicable to applicants who currently do not hold and/or have not held any principal card of Citi Credit Card and/or Citi Private Label Card issued by Citibank (Hong Kong) Limited and/or principal card of Diners Club Card issued by Diners Club International (HK) Limited within the past 12 months from the date of card issuance ("New Customers"). Key Remarks for "10% off 4DX movie tickets"
Eligible at Cinema City Langham Place only. Citi Clear Cardholders can purchase a maximum of 8 discount tickets for each transaction. The discounted movie ticket price will be rounded up to the nearest dollar. Eligible on Friday to Sunday only at Cinema City Langham Place and Cinema City Victoria and upon a single local retail transaction of at least HK$500 made by the Citi Clear Card in the same or previous calendar month as the movie ticket purchase. Each Citi Clear Card is only entitled to one free movie ticket every week (from Monday to Sunday) during the Promotion Period. Eligible at Cinema City Langham Place, Cinema City Chai Wan, Cinema City JP , Candy Park by Cinema City and Cinema City Victoria only. Cardholders can purchase a maximum of 8 discount tickets for each transaction. Citi Clear Card Cash Rebate Program ("Cash Rebate Program") applies to the principal and supplementary cardholders ("Cardholders") of Citi Clear Card issued by Citibank (Hong Kong) Limited ("Citibank") ("Eligible Card") and is valid from September 27, 2013 until further notice. 0.4% cash rebate ("Basic Cash Rebate") will be awarded to transactions charged in any currencies to the Eligible Card account ("Eligible Transactions"). 2% cash rebate ("Online Spending Cash Rebate"), including the 0.4% Basic Cash Rebate, will be awarded to online transactions charged in currencies other than Hong Kong dollars ("Eligible Online Transactions") to the Eligible Card account. 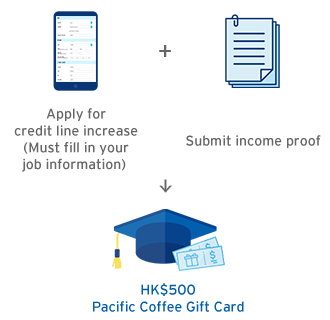 Each Eligible Card account is entitled to receive Online Spending Cash Rebate for the first HK$10,000 (in equivalent foreign currencies) Eligible Online Transactions ("Online Spending Cash Rebate Cap") every statement cycle. Basic Cash Rebate / Online Spending Cash Rebate will not be awarded to ineligible transactions including but not limited to cash advances, fees and charges, withdrawal amount under the Balance Transfer Program, Cash Conversion Program and Quick Cash Installment Program, casino transactions, online bill payment, payment to the Inland Revenue Department, transactions through Faster Payment System (FPS) Service, unposted / cancelled / refunded transactions, and other transactions designated by Citibank from time to time at its discretion. Basic Cash Rebate/ Online Spending Cash Rebate awarded in respect of any supplementary Cardholders will be attributed to their principal Cardholders. For the avoidance of doubt, transactions made by principal and supplementary Cardholders under the same Eligible Card account are counted collectively in the calculation of the Online Spending Cash Rebate Cap. Basic Cash Rebate/ Online Spending Cash Rebate will be credited to the Eligible Card account on the following statement of account when Eligible Transactions/ Eligible Online Transactions are posted to a statement of account. Basic Cash Rebate/ Online Spending Cash Rebate will be rounded up to the nearest cent and be used to settle outstanding balance excluding the Minimum Payment Due as well as new purchases. In case of any Eligible Transactions/ Eligible Online Transactions in respect of which Basic Cash Rebate/ Online Spending Cash Rebate has been awarded are subsequently cancelled, refunded, found fraudulent or abused, Citibank reserves the absolute right to debit directly from the Eligible Card account the equivalent value of the Basic Cash Rebate/ Online Spending Cash Rebate awarded under this Cash Rebate Program, forfeit the Cardholder's eligibility to participate in this Cash Rebate Program, and/or suspend the Eligible Card account for investigation without prior notice. When an Eligible Card account is closed or suspended under whatever reason, any Basic Cash Rebate/ Online Spending Cash Rebate remaining in the Eligible Card account will be forfeited. Unless otherwise specified, Basic Cash Rebate/ Online Spending Cash Rebate is not transferable and cannot be converted to cash or other offers. 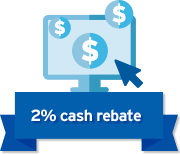 To be eligible for this Cash Rebate Program, Eligible Card accounts should be valid, in good standing and in compliance with the conditions that may be imposed by Citibank from time to time. Citibank reserves the right to terminate this Cash Rebate Program or amend its terms and conditions at any time without prior notice. All matters and disputes are subject to the final decision of Citibank. The offers of "10% off 4DX movie tickets", "Buy-1-get-1-free 3D / 2D movie tickets every Friday to Sunday", "12% off 3D / 2D / Atmos (if applicable) movie tickets" and "10% off concession items" ("Offers") apply to the principal and supplementary cardholders ("Citi Clear Cardholders") of Citi Clear Card issued by Citibank (Hong Kong) Limited ("Citibank") ("Citi Clear Card"). The offers of "12% off 3D / 2D / Atmos (if applicable) movie tickets" and "10% off concession items" also apply to the principal and supplementary cardholders ("Cardholders") of Citi Credit Cards issued by Citibank ("Eligible Card") except Citi Cash Back American Express® Card. Offers are valid from September 9, 2017 to December 31, 2019 (both days inclusive) ("Promotion Period"). The offer of "10% off 4DX movie tickets" is only applicable at Cinema City Langham Place (“CCLP”) and tickets must be purchased via official ticket selling channels (box-office, website, mobile app and self-ticketing kiosk) ("Designated Channels"). The offer of "Buy-1-get-1-free 3D / 2D movie tickets every Friday to Sunday" is only applicable to CCLP and Cinema City Victoria (CCVT) and tickets must be purchased via Designated Channels. The offer of "12% off 3D / 2D / Atmos (if applicable) movie tickets" is applicable at CCLP, Cinema City Chai Wan (“CCCW”),Cinema City JP (“CCJP”), Candy Park by Cinema City (「CCCP」) and CCVT and tickets must be purchased via Designated Channels. The respective Designated Channels may reject an Eligible Card if their payment system cannot handle some of the Eligible Card types. Please contact Cinema City for details. The offer of “10% off concession items” is applicable at CCLP, CCW,CCJP, CCCP and CCVT. 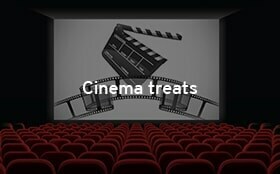 The Offers are not applicable for all films with a screening time commencing before 12:00noon, films screening on Tuesday, preview films, special films, films being screened within movie festival shows, alternative content and any particular movies requested by movie distributors as announced by Cinema City. Unless otherwise specified, the Offers cannot be used in conjunction with each other, or other special promotions, discounts or promotional coupons, nor be transferred or exchanged for cash or other offers. In case of any transactions in respect of which Offers have been awarded are subsequently cancelled, refunded, found fraudulent or abused, Citibank reserves the absolute right to charge the equivalent value of the Offers awarded directly from the Eligible Card account, forfeit the Cardholder's eligibility to be entitled to the Offers, and/or suspend the Eligible Card account for investigation without prior notice. To be eligible for the Offers, Eligible Card accounts should be valid, in good standing and in compliance with the conditions that may be imposed by Citibank from time to time. Citibank shall not be responsible for any matters in relation to the related products or services. Cinema City is solely responsible for all obligations and liabilities relating to such products or services and all auxiliary services. Citibank and Cinema City reserve the right to terminate these Offers or amend their terms and conditions at any time without prior notice. All matters and disputes are subject to the final decision of Citibank and Cinema City. Any purchase of a regular-priced 4DX movie ticket at Cinema City Langham Place made by Citi Clear Card at the Designated Channels within the Promotion Period (except the movie show dates of 13 December – 31 December 2018, January 1, 2019, January 24 – February 14, 2019 and December 12 – December 31, 2019) will be entitled to 10% off. Citi Clear Cardholder can purchase a maximum of 8 discount tickets for each transaction. Any purchase of a regular-priced same-day or pre-sale 3D / 2D movie ticket for Friday to Sunday shows at Cinema City Langham Place and Cinema City Victoria (except the movie show dates of 13 December – 31 December 2018, January 1, 2019, January 24 – February 14, 2019 and December 12 – December 31, 2019), made by the Citi Clear Card at the Designated Channels within the Promotion Period, will be entitled to a free movie ticket for the same show upon making a single local retail transaction of at least HK$500 with the same Citi Clear Card in the same or previous calendar month as the movie ticket purchase. Transactions including but not limited to Interest-Free Installment Plan, Octopus Automatic Add-Value Service transactions, traveler’s checks, cash advances, withdrawal amount/loan amount under the Balance Transfer Program, Cash Conversion Program and Quick Cash Installment Program, payment to the Inland Revenue Department, transactions through Faster Payment System (FPS) Service, bill payment, fees & charges, Dynamic currency conversion transactions, auto payment, mutual funds payment, mail/fax/phone orders, insurance transactions, casino transactions, unposted/cancelled/refunded transactions, transactions posted in foreign currencies, other unauthorized transactions and fraud and abuse transactions are not classified as local retail transaction in this promotion. The Citi Clear Cardholder must retain all original sales slips and/or relevant documents. Citibank and Cinema City reserve the right to request the Citi Clear Cardholder to submit the relevant original sales slip(s) and /or such further document(s) and /or evidence for inspection at purchase or any time during or after the Promotion Period. Each sales slip can only be used once. Stamped/ reprinted/ damaged/ out-dated and photocopies of sales slip will not be accepted. No compensation will be made if the paid and free movie tickets are not used. Any purchase of a regular-priced 3D / 2D / Atmos (if applicable) movie ticket made by the Eligible Card at the Designated Channels of Cinema City Langham Place, Cinema City Chai Wan, Cinema City JP, Candy Park by Cinema City and Cinema City Victoria within the Promotion Period (except the movie show dates of 13 December – 31 December 2018, January 1, 2019, January 24 – February 14, 2019 and December 12 – December 31, 2019) will be entitled to 12% off.